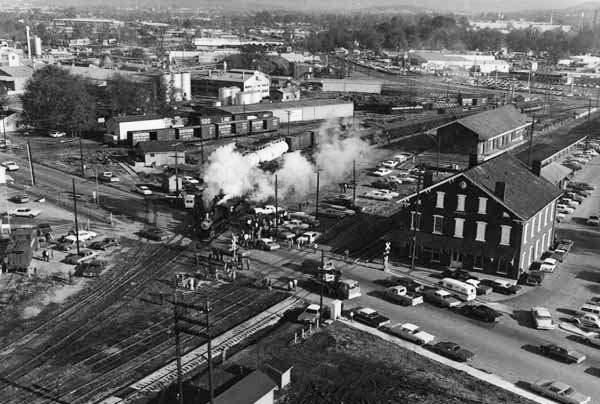 A steam train to Sheffield is seen at the Memphis and Charleston Railroad depot in Huntsville, Madison County, ca. 1970's. The depot was built in 1860 and today houses the Huntsville Depot Museum.